In 1885, Karl Benz, a German engineer, invented the first functional automobile. Over the past 130 years, automobiles have evolved considerably. 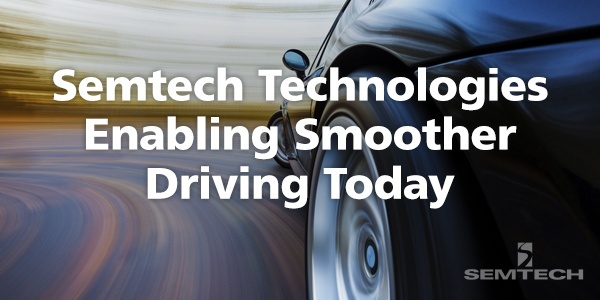 Semtech is proud to be a part of the automotive technology journey and is aiding this evolution by offering key technologies that contribute to the advancement of safety, reliability and performance of automobiles. In commemoration of the inventor’s birthday, November 25, we take a look at some key automotive applications for integrated circuits (IC), and highlight Semtech’s contribution (or participation) to their implementation.